Google data shows that searches for “slow iPhone” skyrocket every single year right after Apple launches a new device. The cynics say this is proof that Apple purposely slows down older models with its latest software to encourage users to upgrade. In reality, it’s a psychological phenomenon. 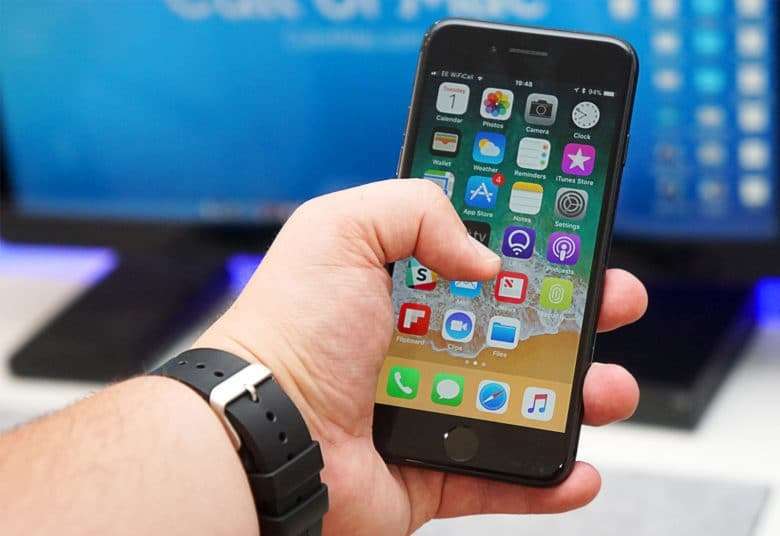 We see a new iPhone, with significantly faster hardware and new features, and our existing device suddenly feels slow. But performance is just as good as it was before Apple pushed out any updates. To prove this, Futuremark collected more than 100,000 benchmark tests from iPhone 5s to iPhone 7. It then averaged the performance of both the processor and graphics chip once a month between April 2016 and September 2017. Let’s focus on iPhone 5s. That’s the oldest model compatible with iOS 11, and should therefore be most susceptible to performance hits. 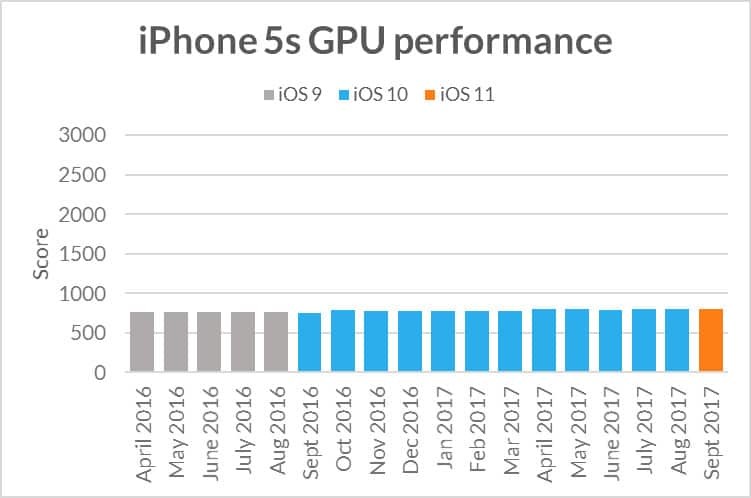 Yet from April 2016 when it was running iOS 9 to September 2017 when it received iOS 11, GPU performance is almost exactly the same. iPhone 5s GPU performance from April 2016 to September 2017. CPU performance appears to fluctuate a little more. But again, the experience with iOS 11 is about as good as it has been for the 18 months. 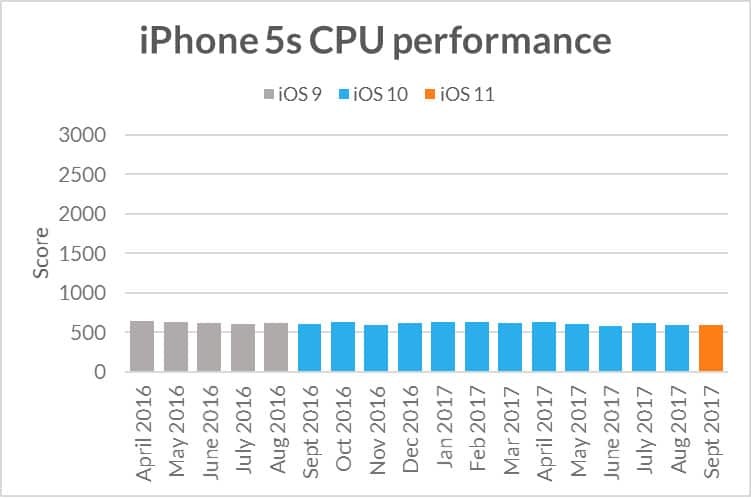 iPhone 5s CPU performance from April 2016 to September 2017. “Our benchmarking data shows that, rather than intentionally degrading the performance of older models, Apple actually does a good job of supporting its older devices with regular updates that maintain a consistent level of performance across iOS versions,” Futuremark concludes. It’s true that performance could be impacted by new features that require more processing power. And new apps that are optimized for the latest hardware may not perform so well on older devices. But the notion that Apple purposely slows down older devices with iOS updates is complete trash. Don’t believe the myth.